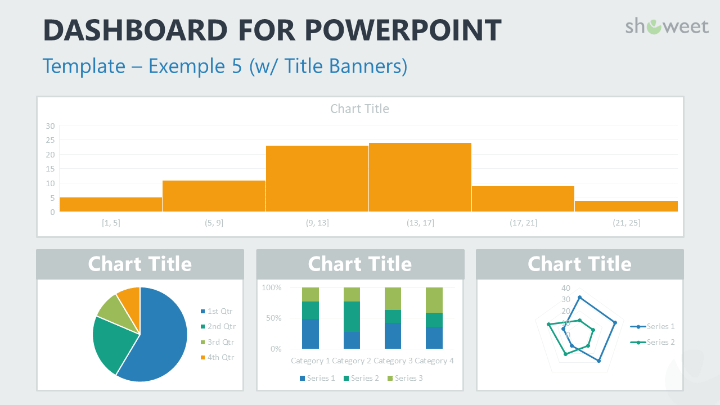 Presenting a lot of data in a legible and visually appealing way is a tricky exercise. 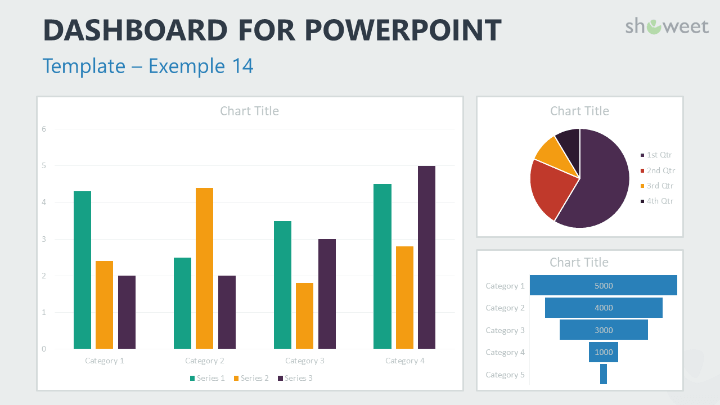 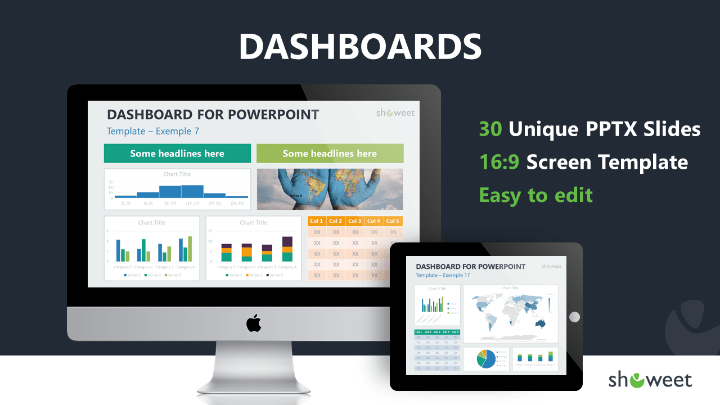 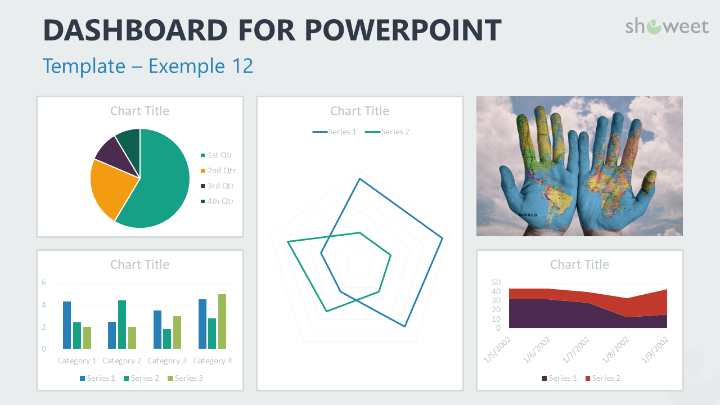 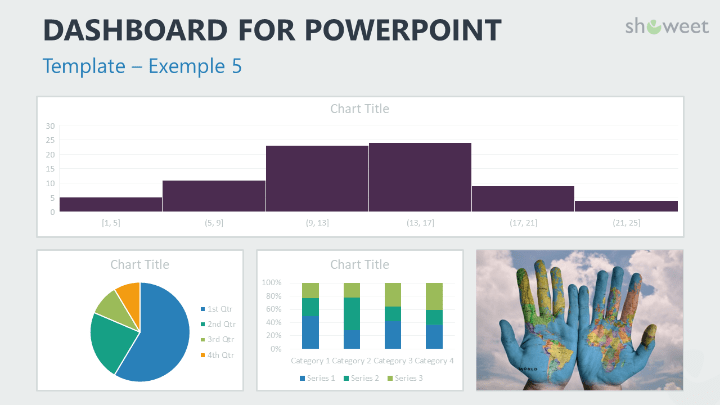 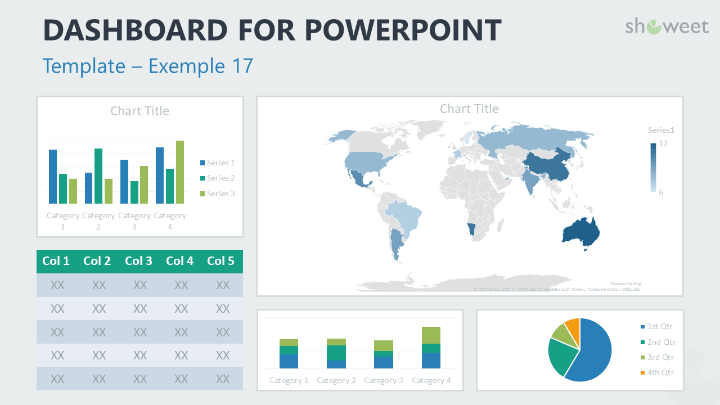 This free collection of ready and easy-to-use dashboards for your PowerPoint presentations will make your life easier. 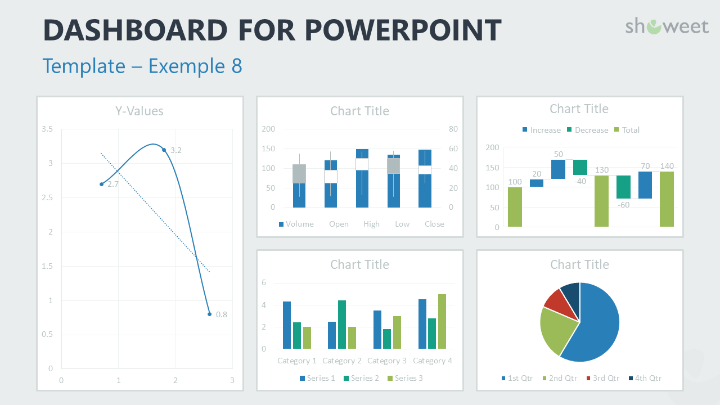 Dashboards are a collection of graphics (charts) that are used to synthesize substantial amounts of data and to easily visualize key indicators. 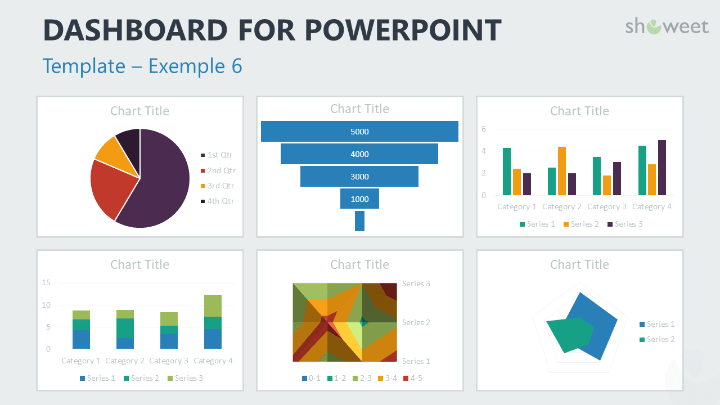 The free PPTX document contains a selection of 30 custom-made slides optimized for data visualization, with carefully organized text/picture/chart placeholders. 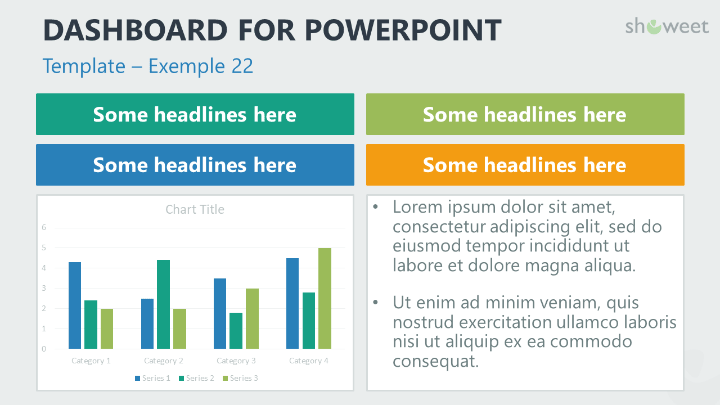 These templates are built with content placeholders, which means that specific boxes that contain content are designed in the slide layout. 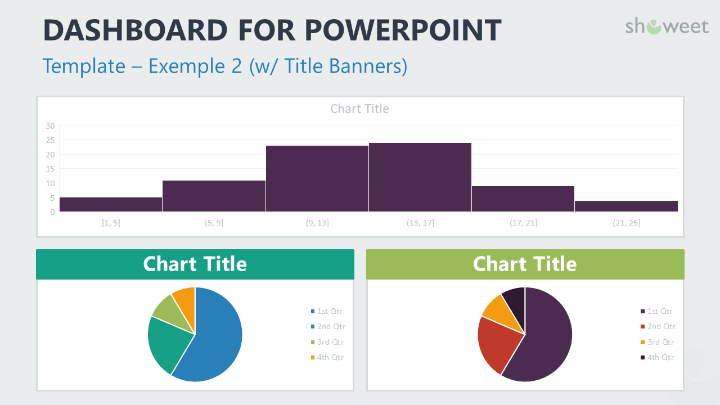 You just need to click on the desired icon to select the content within this box: chart, picture, table, text or SmartArt. 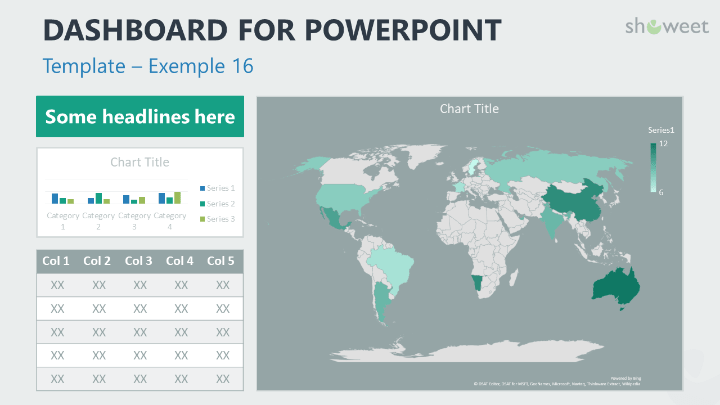 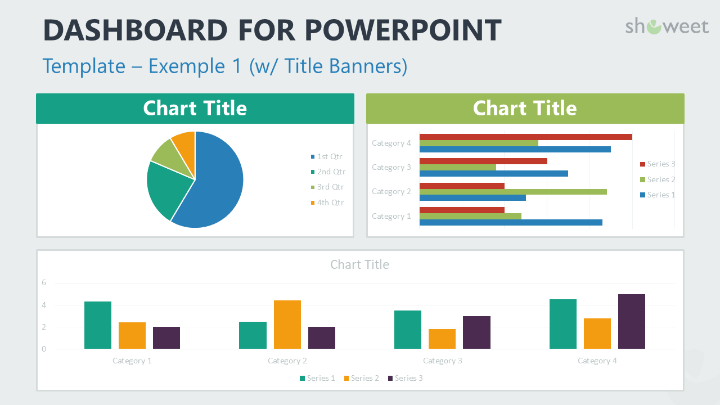 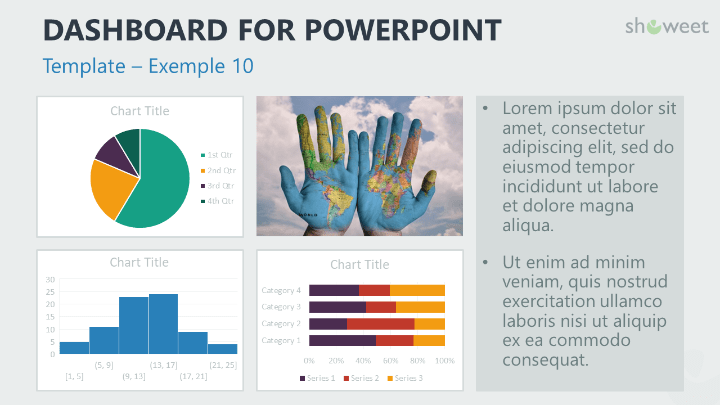 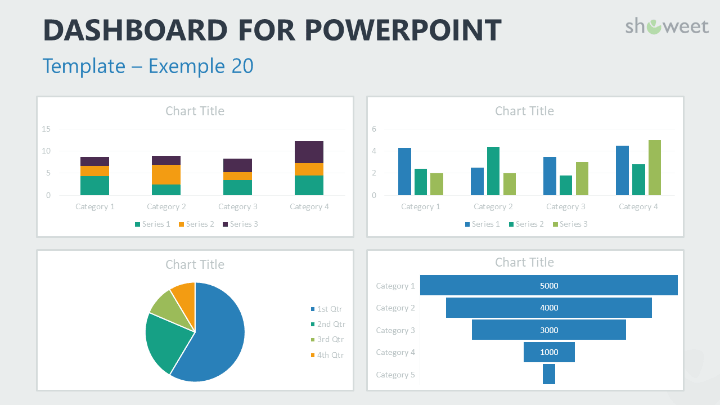 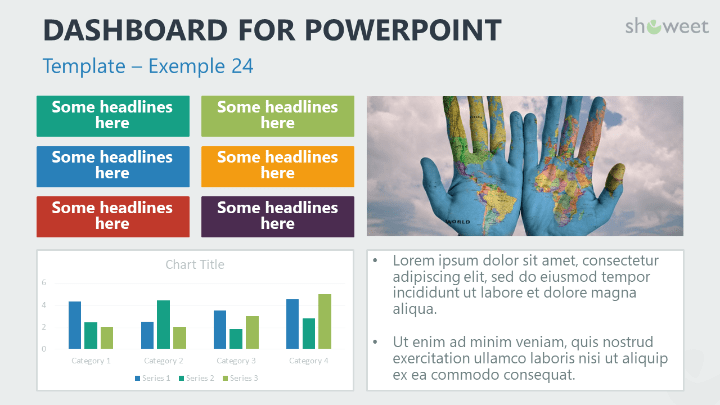 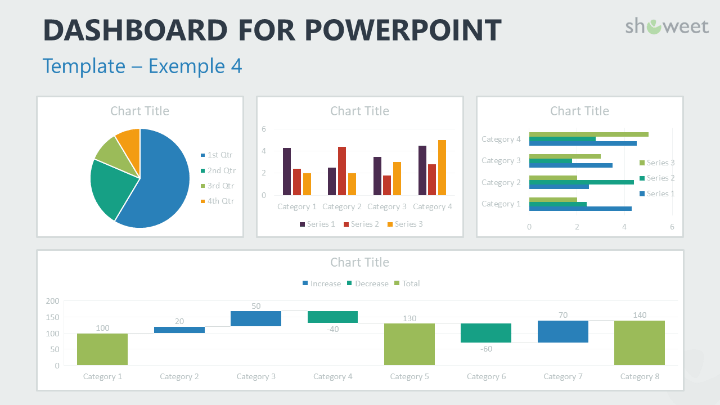 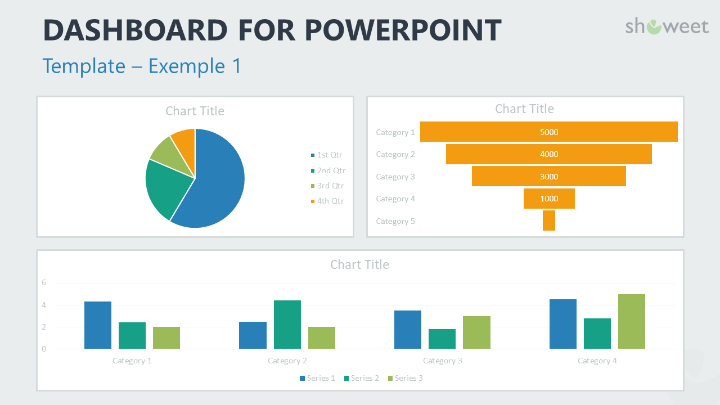 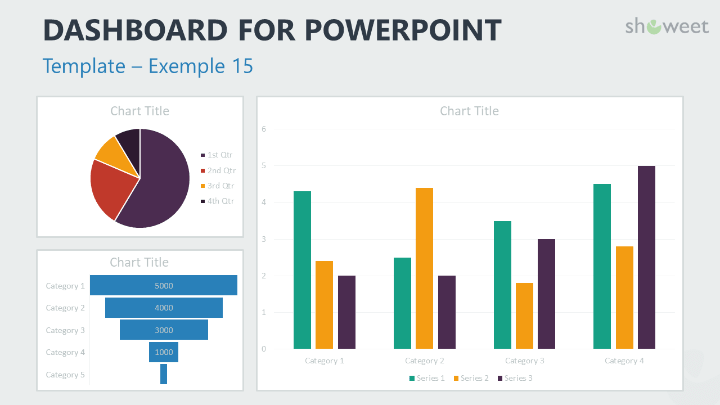 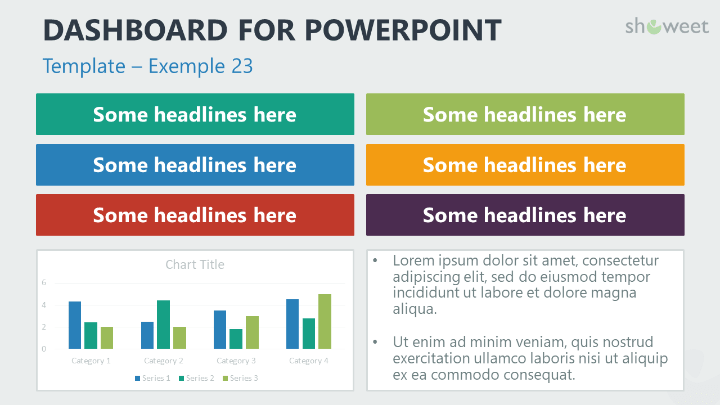 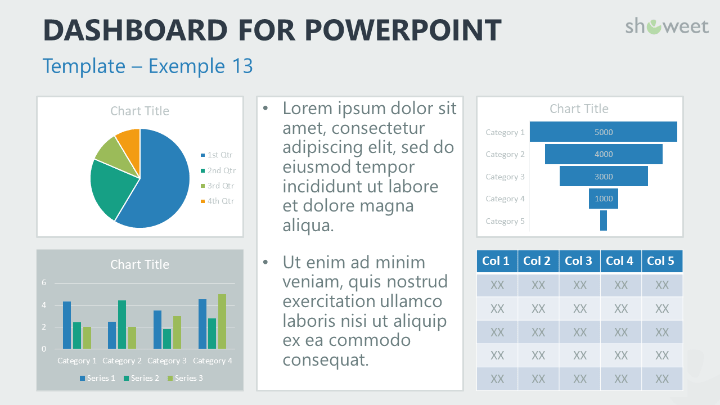 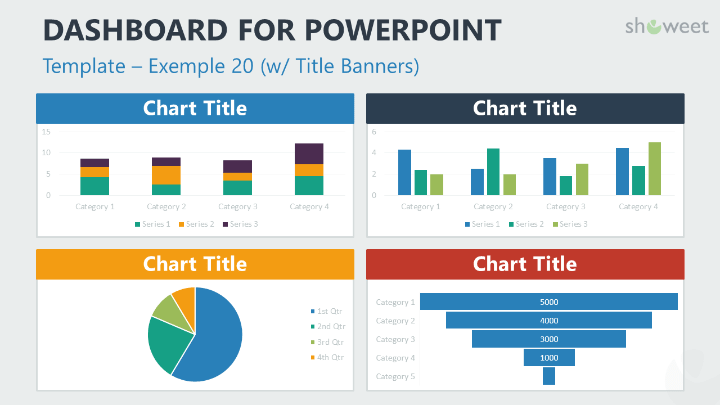 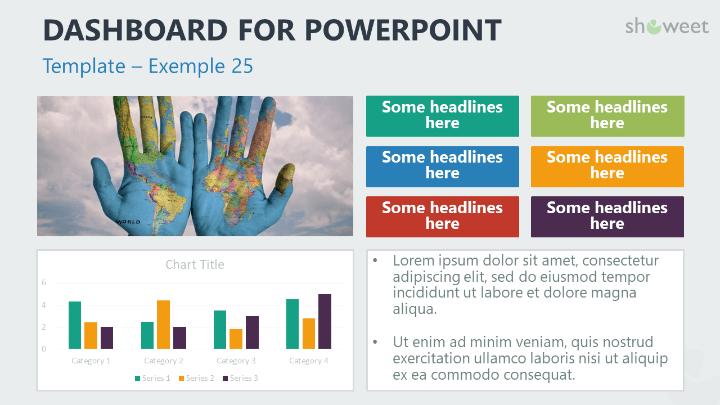 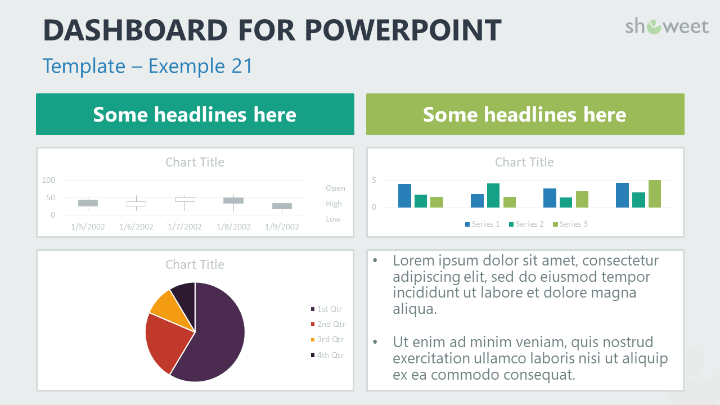 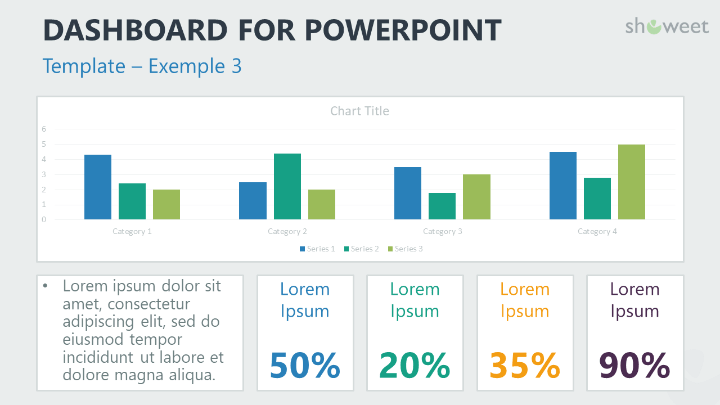 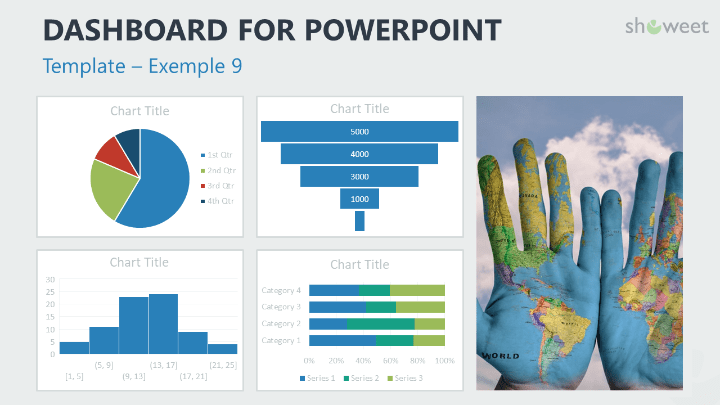 Download these ‘Dashboard Templates for PowerPoint’ for free! 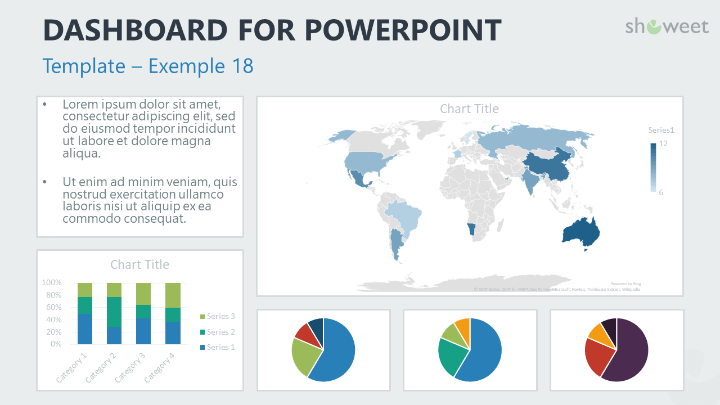 Thanks for this new Template. 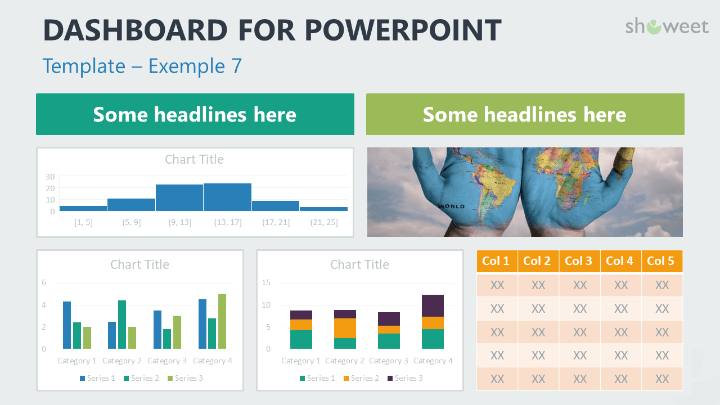 Not sure it’s really useful as it’s easy to create such layout nervetheless, it’s a good opportunity to see what is possible in terms of charts with PowerPoint ! 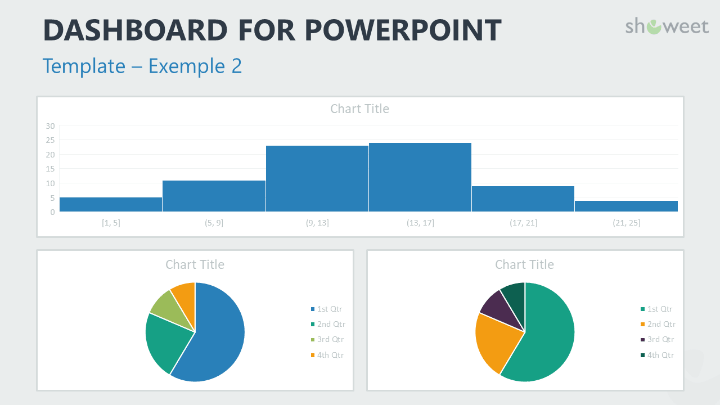 Hi Franck, thanks for your comment… we were worried! 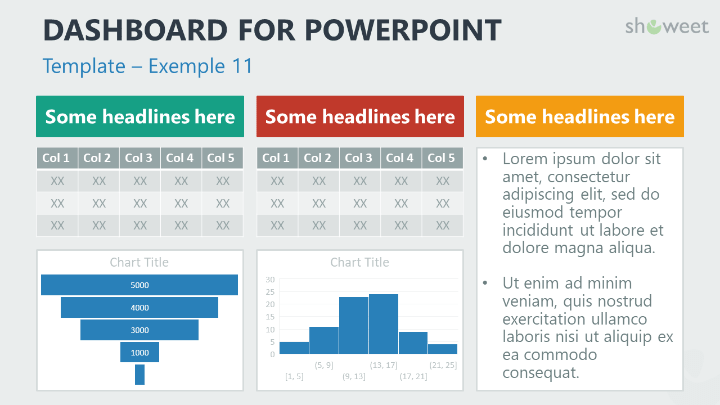 😉 As you said, these are examples for optimizing data visualization in presentations… not that complicated to build indeed, but these slides will probably help out some presenters who have no idea in the 1st place how to organize all this information (it happened to me actually…). 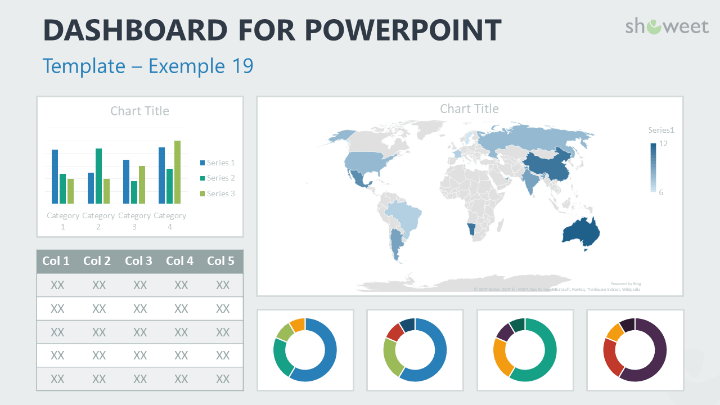 Hope the next release will better suit your needs!